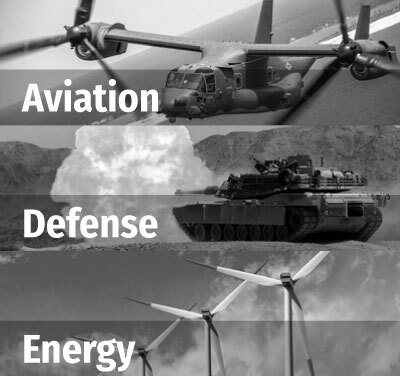 HARP Engineering focuses on the development of new materials and their use in the Aviation, Defense, Energy and Consumer markets. HARP Engineering is working both on the development of ceramic nanowires for application in nanocomposites as well as new polymer technologies for energy storage and thermosetting polymers for fiber reinforced composites. HARP Engineering leverages its world-leading capability for the synthesis of ceramic nanowires with controlled stoichiometry, phase, and dimensions. 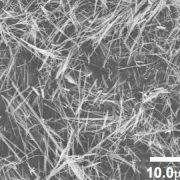 The high aspect ratio of our nanowire fillers provides improved mechanical, electrical, and magnetic properties in materials with unprecedented performance. We have developed a unique patented process using nanowires to reinforce the interlaminar region of prepreg composites leading to increased strength and fatigue resistance. Our technology employs low cost materials that can provide functional benefits beyond strength by allowing embedded sensing and UV absorption. In addition to utilizing nanotechnology in advanced materials, HARP has developed a new thermosetting polymer which exhibits mechanical and thermal properties comparable to Bismaleimides (BMIS) yet with drastically lower cost. This new resin is being developed for resin transfer molding (RTM) as well as in Prepregs. HARP Engineering, LLC has a staff of innovative engineers who take advanced technologies from conception to realization and production. Our team is competent in the chemistry of materials, synthesis, manufacturing, mechanics modeling, materials testing, and structural dynamics. We take a multidisciplinary approach to problem solving and unique material technologies, which offers a paradigm shift from traditional solutions. We offer working solutions through customized synthesis of nanomaterials to meet customers’ dimensional requirements.